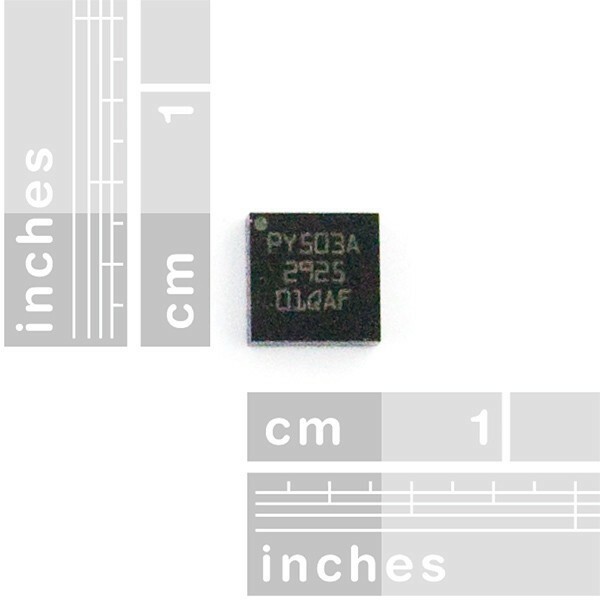 This is a low-power dual axis (pitch and yaw) MEMS gyro with a ±30°/s maximum range. Options include integrated low pass filters and embedded power down and self-test features. Both x and z outputs are analog, and a 4x amplified output signal is also available for both axes. Comes in an LGA-16 package.